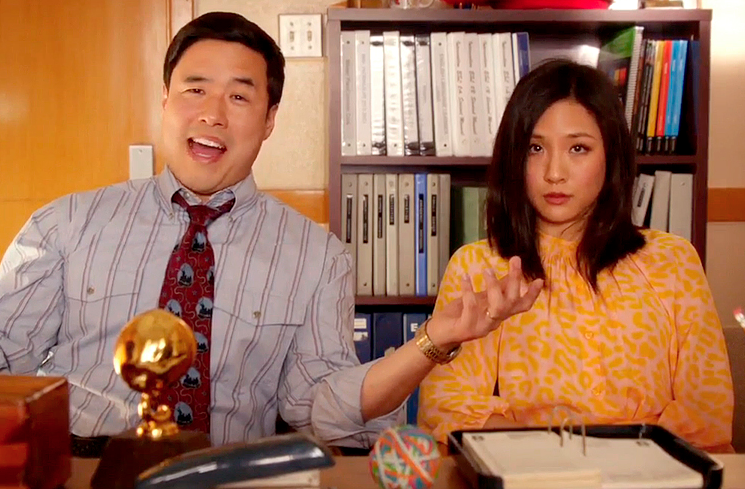 20 Asian regulars in network’s upcoming season. Pictured at an APAMC-ABC meeting are (from left: Tim McNeal (ABC vice president of creative talent development and inclusion), Snehal Desai (East West Players), Hope Hartman (ABC senior VP of communications), Samie Kim Falvey (ABC executive VP of comedy development), Francis Cullado (Visual Communications), Jeff Liu (APAMC), Daniel M. Mayeda (APAMC/EWP), Vicki Dummer (ABC executive vice president), Guy Aoki (Media Action Network for Asian Americans), Channing Dungey (ABC executive VP of drama development), Marla Provencio (ABC executive VP of marketing and chief marketing officer), Ayo Davis (ABC VP of casting), Janine Jones-Clark (ABC director of creative talent development and inclusion), Kristi Shuton (ABC diversity analyst), Lisa Thong (OCA). The Asian Pacific American Media Coalition (APAMC) announced Sept. 17 that for the upcoming 2015-2016 season, ABC will reach a historic high of 20 Asian regulars on its primetime television series. The previous record, held by NBC, was 16 in the 2007-08 season. In addition to the return of “Fresh Off the Boat,” the alphabet network will debut “Dr. Ken” starring Ken Jeong, a second Asian American family show on the same network. 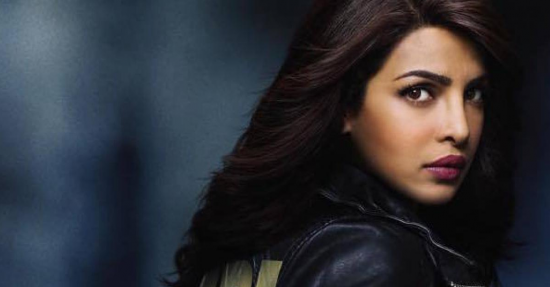 Also, the drama “Quantico” will be headlined by Bollywood star Priyanka Chopra. As far as the coalition can determine, no network has ever had three primetime series starring (first name in the credits) Asian actors. “This marks a remarkable comeback for ABC,” said Daniel M. Mayeda, co-chair of the APAMC, which has met annually with the top four networks since 1999 advocating for more diversity and inclusion. “A few years ago, ABC had the lowest number of Asian Pacific Islander (API) regulars amongst the top four networks. Now, they’re the acknowledged leader in diversity and APIs are a significant part of that success story. “Critics have called ‘Fresh Off the Boat’ one of the best comedies of the year, with many endorsing Emmy nominations for both the show and breakout star Constance Wu,” says APAMC member Miriam Nakamura-Quan. “When NBC’s ‘The Voice’ began its eighth season in the same time slot, ‘Fresh Off the Boat’s’ ratings remained the same. This meant the sitcom had actually drawn new audiences to watch television on Tuesday nights. Mayeda points out: “Nielsen data from the 2014-15 season showed that APIs in the coveted 18-49 demographic watched programs that featured Asian American prominently — like ‘Selfie’ and ‘The Mindy Project’ — at a disproportionately high percentage of their population. The first several episodes of ‘Fresh Off the Boat’ ‘over-indexed’ among API viewers by 168% to 218%, making them a destination for advertisers seeking to target the upscale Asian American consumers. Armed with data like this, the networks aggressively sought to include people of color in most of their pilots considered for the 2015-16 season. And the results reflect remarkable gains for APIs and other people of color in prime time. The popular new AMC series “Fear the Walking Dead” stars Maori actor Cliff Curtis. In November, the cable channel will debut “Into the Badlands,” a fantasy/martial arts series starring Daniel Wu as the tough/mysterious hero, and Aziz Ansari’s new sitcom “Master of None” will premiere on Netflix. “The Mindy Project,” starring Mindy Kaling, will be shown on Hulu. In addition to the aforementioned ABC series and “Marvel’s Agents of S.H.I.E.L.D.” (featuring Ming-Na Wen), three out of the four major networks will broadcast series that feature APIs who are listed second in the credits. CBS has “Elementary” (Lucy Liu), “Criminal Minds: Beyond Borders” (Daniel Henney), and “Rush Hour” (John Foo); and Fox offers “Lookinglass” (Dilshad Vadsaria) and “The Guide to Surviving Life” (Meaghan Rath). The CW’s upcoming “My Crazy Ex-Girlfriend” and Netflix’s second season of “The Unbreakable Kimmy Schmidt” will both feature Asian men in previously rare romantic roles. Steven Yuen continues to play the heroic/romantic Glenn Rhee character on AMC’s “The Walking Dead,” which has the highest number of viewers in the 18-49 demographic of any TV show, cable or broadcast. The APAMC encourages everyone to support these shows and to watch the second season of “Fresh Off the Boat” on Tuesdays at 8:30 p.m.; “Quantico,” which premieres Sunday, Sept. 27, at 10 p.m.; and “Dr. Ken,” which starts on Friday, Oct. 2, at 8:30 p.m.
APAMC has agreements with ABC, CBS, Fox and NBC committing them to work to increase diversity on-screen and behind the camera. APAMC members include such organizations as the Asian American Justice Center, East West Players, Japanese American Citizens League, Media Action Network for Asian Americans, National Federation of Filipino American Associations, OCA-Asian Pacific American Advocates, Sikh American Legal Defense and Education Fund, and Visual Communications.